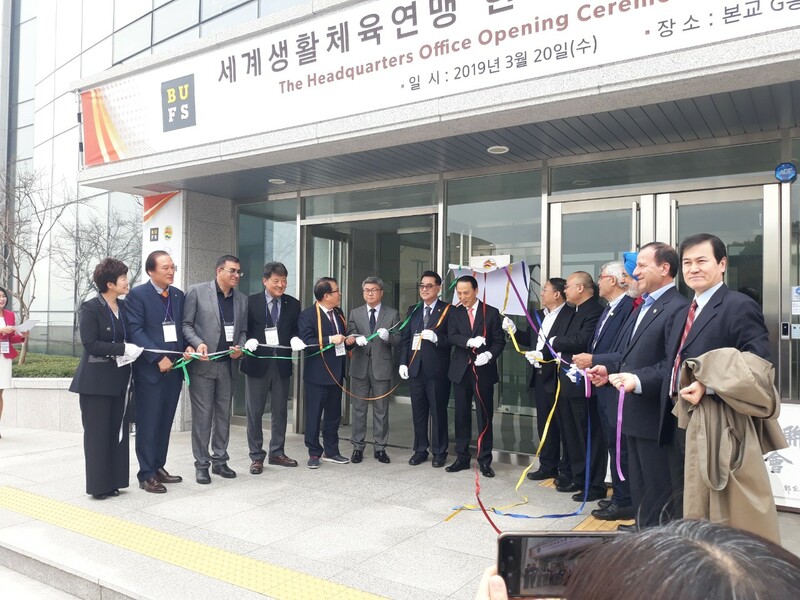 On March 20th, TAFISA-Korea had an official launch ceremony of its Secretariat in BUFS (Busan University of Foreign Affairs) in Busan, Korea. 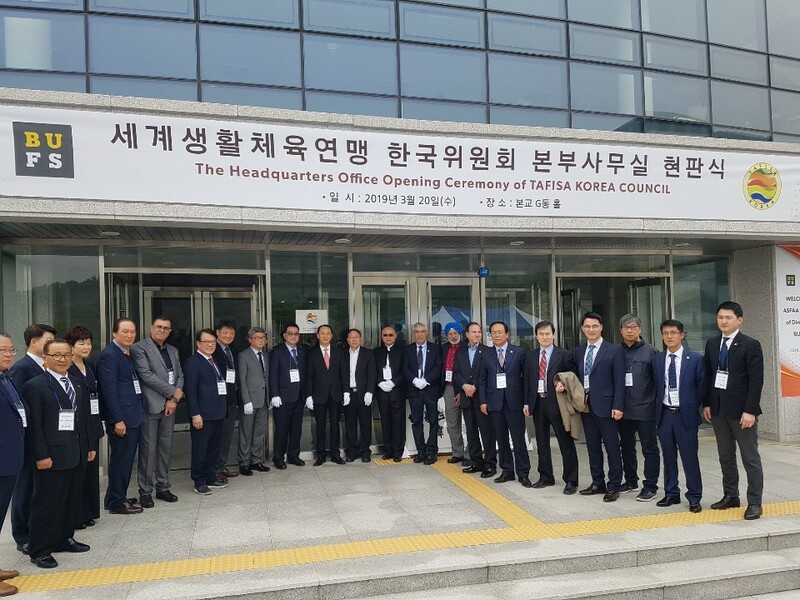 With the aim to unify Korean member organizations that are affiliated with TAFISA to enhance the development and promotion of the Sport for All Movement in Korea, the ceremony was attended by more than 80 officials, including ASFAA Board members. Mr. Yoo Gil-ho, Chairman of Sport for All Commission from Korea Sports Olympic Committee, is the Chairman of TAFISA Korea. 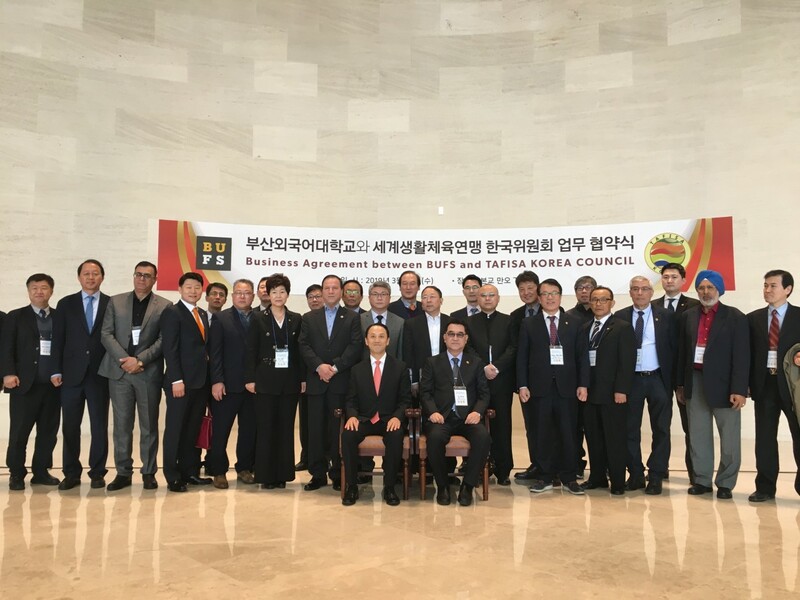 Following the ceremony, TAFISA-Korea signed a MoU with BUFS to strengthen mutual cooperation on various academic consultations and further on empower Sport for All leaders.